The National REACH Coalition (NRC) is a national network of community-based organizations that promotes, develops, and implements innovative health equity programs in both urban and rural communities. 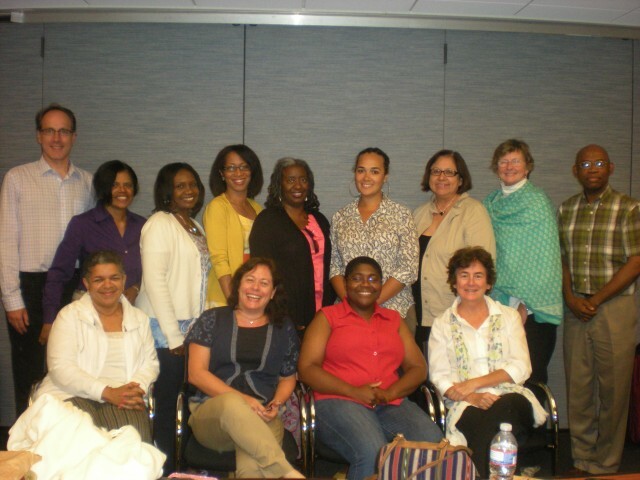 Our staff and Board of Directors are leaders in the public health field, with years of experience focused on the elimination of racial and ethnic health disparities within the United States. Angelica Alton provides oversight, technical assistance, support and training for NRC’s REACH sub-recipients. Prior to joining NRC, Angelica served as a Project Coordinator for First Home Care of DC, the largest foster care program in the city, working with federal grants and health credentialing. She previously served as a Program Monitor/Grant Analyst in the Ryan White Unit at the City of Newark, New Jersey’ Department of Child & Family Well-Being. Angelica earned a Master of Social Work from Rutgers, The State University of New Jersey, and a Bachelor of Science in Communications from Old Dominion University with a concentration in Human Relationships. Angelica can be reached at aalton@reachcoalition.org or 202-643-7645. 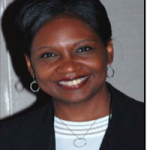 Charmaine Ruddock, MS, serves as Project Director of the Bronx Health REACH/NY CEED, The Institute for Family Health. 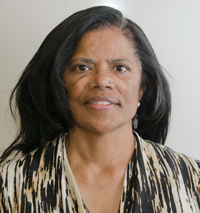 Ms. Ruddock joined the Institute for Family Health in 2000 to direct Bronx Health REACH, a coalition of 70 community and faith-based organizations, funded by the Centers for Disease Control and Prevention (CDC) to address racial and ethnic health disparities. As Project Director for Bronx Health REACH, Ms. Ruddock’s key responsibilities include developing a community coalition, linking health care providers, community leaders, community based organizations, social service agencies, government entities, local small businesses to a joint community approach; addressing socio-medical determinants of health disparity. Jeff Bachar, Executive Director of Western North Carolina (WNC) AIDS Project. Jeff has worked in the field of public health for more than twenty years, most recently as Program Director of Cherokee Choices, a community based organization focused on health promotion and disease prevention among the Cherokee people of WNC. Jeff began his public health career in Chicago, where he helped form an HIV/AIDS prevention and peer education program. He has worked and volunteered with a variety of AIDS service organizations — including serving as a WNCAP Board member from 2000 – 2006..
Blishda Lacet works for the Seattle King County Public Health Department. Blishda Lacet is currently the Unit Manager of the Healthy Eating Active Living (HEAL) Unit within the Chronic Disease and Injury Prevention Section at Public Health Seattle & King County. Ms. Lacet was the Program Manager and later the Program Director and Principle Investigator of the Seattle and King County REACH program (REACH) at Public Health Seattle & King County. The REACH program worked as part of a coalition to eliminate diabetes-related health disparities among African Americans, Asian Americans & Pacific Islanders, and Latinos/Hispanics. The strategy used included culturally tailored diabetes “train the trainer” modules, as well as community mobilization around organizational and environmental changes. Ms. Lacet provides expertise to the planning, implementation, policy activities and evaluation processes of the HEAL Unit. Ms. Lacet is also the past Chair of the Washington State Diabetes Network Leadership Team (LT) and the Vice Chair of the National REACH Coalition’s Board. Ms. Lacet holds a Bachelors of Science in Social Psychology from Tufts University in Medford MA., a Masters in Public Health from Boston University School of Public Health, and an MBA from Babson College, Olin Graduate School of Business in Wellesley, MA. Denise Wise, Program Director of Diabetes Action, Resources and Training, Richmond, VA. DART is a six-week program where participants meet once a week for a two hour session. The overall goal is to teach diabetics day-to-day self-management of their disease. The core component of the DART program is a brief educational presentation on a variety of topics related to the prevention and/or management of diabetes. The program provides interactive education in the form of cooking demonstrations and physical activity. Peer educators are utilized to facilitate certain portions of the program. The office is described as a kitchen designed to provide an atmosphere of being at home sitting around the kitchen table having conversation. This design is called ‘The Kitchen Table” Model..
Kelly Roberta Moore, MD, A member of the Muscogee (Creek) Nation of Oklahoma, Dr. Moore is an Associate Professor at the Colorado School of Public Health, University of Colorado Denver, with the Centers of American Indian and Alaska Native Health. She is the Co-Director of their CDC REACH US Center of Excellence in the Elimination of Disparities, focused upon cardiovascular disease and type 2 diabetes risk reduction in urban American Indians and Alaska Natives. Dr. Moore is a retired Captain in the United States Public Health Service Commissioned Corps with 20 years of service to the Indian Health Service (IHS), among the Navajo and Gila River Pima of Arizona, the Quinault Nation of Washington, the Uintah and Ouray of Utah, and the tribes and urban Indian communities of Wyoming and Montana in the Billings IHS Area. Eustache Jean-Louis, MD, MPH, is the Executive Director of the Center for Community Health, Education & Research (CCHER), Inc. in Boston, Massachusetts. He brings many years of experience working with the Haitian community, including his presence and advocacy during the early years of the HIV/AIDS epidemic when there was much fear and stigmatization towards and among Haitians. Dr. Jean-Louis is an expert in blending medical, public health and social disciplines to improve the quality of life for low-income and uninsured/undocumented clients. He is well known in the Boston Haitian and AIDS communities for his long-term advocacy efforts and success in obtaining access to healthcare for uninsured/undocumented HIV clients. He has been the recipient of local and national honors from several academic and health institutions. 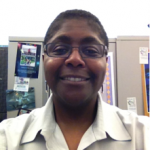 Tonya M. French-Turner is the Public Health Coordinator at the Genesee County Health Department. 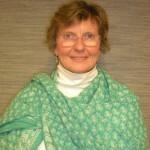 During her tenure, she has worked in Women Infants and Children (WIC) and Communicable Diseases Programs. For the past 13 years, she has served as a Public Health Program Coordinator for the REACH 2010/US and RANC projects in Genesee County. In her duties as the Public Health Coordinator, she is responsible for the overall administration of the projects, implementation of project activities, coordination of work at the state and national level, and serves as a community liaison. She serves on a number of committees with particular focus on racial & ethnic health disparities and health equity and social justice. She serves as the Mid-North Regional Director on the National REACH Coalition Board of Directors. Ms. French-Turner holds a Bachelor of Business Administration (B.B.A) and Masters of Business Administration (M.B.A.) in Strategic Management. Martha Moore-Monroy, MA, Program Director for the REACH Pima County Cervical Cancer Prevention Partnership based at the University of Arizona, National Center of Excellence in Women’s Health. Ms. Moore-Monroy is also a clinical lecturer at the University of Arizona, Department of Obstetrics and Gynecology; an adjunct faculty member at Pima Community College and Prescott College and a commissioner for the Pima County Women’s Commission. The primary focus of her professional career has been with promotoras/community health outreach workers and community-based coalitions dedicated to the elimination of health disparities facing underserved populations. Ms. Monroy has served as a consultant and collaborator to a variety of university, community and non-governmental organizations concerned with the elimination of health disparities. 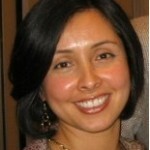 DAntoinette Angulo, MPH, Director of Preventative Health Services Sea Mar Community Health Centers Consultant and activist in Seattle, WA; Antoinette has worked with Latino populations in the U.S. and in Latin America for over 15 years in clinical and community health settings. She earned her Master in Public Health degree from the University of Washington and studied health policy as an undergraduate at the University of California at Berkeley. She is a board member of the National REACH Coalition, commissioner for the City of Seattle’s Park Board, associate with Creative Narrations, and advisor to both Prometheus Public Health Consulting Group and Just Health Action! While Antoinette was the Preventive Health Services Director at Sea Mar Community Health Centers, she provided oversight to 30+ clinical service delivery sites and health promotion efforts across the state of Washington. Antoinette is passionate about community building and is committed to eliminating health inequities through leadership, capacity building, advocacy, and health promotion and research. Diane Gaspard, Chief-Community Health Services of the Los Angeles Biomedical Research Institute at Harbor-USCA Medical Center. Simona C. Kwon, Dr.PH, MPH, Assistant Professor in the Dept. of General Internal Medicine at the NYU School of Medicine and Director of the B Free CEED: National Center of Excellence in the Elimination of Hepatitis B Disparities. Working collaboratively with a coalition of local, national, and community-based organizations, the goal of this Center is the elimination of hepatitis B health disparities among Asian American, Native Hawaiian & Pacific Islander communities through the development, evaluation and dissemination of multi-level, evidence-based best practices and activities. Dr. Kwon is also a co-investigator of the NYU Center for the Study of Asian American Health and the NYU Health Promotion and Prevention Research Center. Jane MacDonald Daye is the former Director of Administration, Grants Management, and Budget at the National Cancer Institute (NCI), Center to Reduce Cancer Health Disparities. Jane has held multiple positions at many influential institutions such as at the National Institutes of Health (NIH), the National Cancer Institute (NCI), U.S. Senate Appropriations Committee (Subcommittee Labor), and U.S. Department of Health and Human Services.